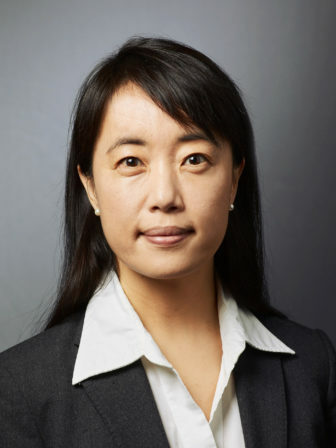 Bandy X. Lee, a forensic psychiatrist who teaches at Yale and spent much of her career on the study of violence and ways to prevent it, says she was flooded with emails and phone calls the day after President Donald Trump was elected. People from all over the country – and around the world – but especially in the Northeast United States told her they were concerned about Trump’s mental state and his ability to serve in office. So she looked into the issue. Lee’s assessment that the president is a danger to the public is shared by others in the mental health field. But it also created a firestorm of criticism – from the president’s supporters and from others, too, including colleagues in the psychiatric field. Lieberman and others accuse Lee of violating the “Goldwater rule,” which prohibits psychiatrists from diagnosing public figures without a personal examination and without consent. Lee, however, argues she is not diagnosing Trump as an individual patient, but is fulfilling an obligation to warn about a public danger. She says to make a diagnosis one needs all the relevant information – including personal interviews of a subject. But to assess dangerousness, a mental health professional only needs a certain amount of information to be prompted to raise alarms. With Trump, it’s about the situation rather than the person, Lee said. She said the president is a danger in the Oval Office, but may not be a danger in a different situation. Dr. Bandy Lee, center, appears on Lawrence O’Donnell’s MSNBC talk show with Tony Schwartz, right, author of “The Art of the Deal.” They both say they are concerned about the president’s mental health. Lee, who makes clear her work in this area is independent of Yale University, has advised members of Congress about Trump’s mental health, especially since Trump’s exchange of tweets with North Korean President Kim Jong-Un over who has the biggest nuclear button. But with a GOP-controlled Congress, Lee said there is little hope of a congressional response to her alarms. So, she is taking her warning directly to the public through a series of radio, television and newspaper interviews, including this one with the Connecticut Mirror. Lee said she knows the risks of her campaign. “I’m aware I’m risking my life,” she said. What is the danger that you see in the president? One thing mental health professionals can do is to make a distinction between what is normal choice and strategy versus what is pathology. When it goes into pathology, it is typical for the person to adamantly deny anything is wrong with them… Most people don’t see impaired people performing day in and day out. So one thing professionals can do is educate the public about signs of abnormality, especially if it’s a malignant abnormality that is spreading and causing harm… The danger now is of human extinction. Because of the nuclear threats the president has made toward North Korea, that’s the danger of human extinction? That’s one of the dangers, but a lot of the dangers have already happened. We have a 22 percent rise in gun deaths since the candidacy of the president, a spike in hate crimes since the morning after the election that has continued, and there has been an increase in bullying – children are directly citing Mr. Trump’s words in order to bully other people and on and on. He has shown verbal aggressiveness, has boasted about sexual assaults, he has incited violence at his rallies, he has endorsed violence in public speeches and such things can lay down a culture of violence, where epidemics of violence can occur. And then he has shown an attraction to violence and powerful weapons…North Korea aside, we’re just talking about Mr. Trump’s involvement here, engaging with a very unstable leader in a taunting an provocative way that has escalated the situation far beyond what it was in the past. I mean all these are signs of danger. Why are you so intent on warning the public that Trump poses a danger? As a public figure you are meant to protect the health and well-being of the public. And when you become a threat to it and a damaging factor to it, then it is incumbent on us to be witnessing professionals, to describe what we see and to educate the public. Right, the difference between ‘crazy like a fox’ and just crazy. When you see someone in the public you can’t really tell whether they are putting on a front or whether that is their true selves. But we have massive amounts of information on this president. We’ve seen his reactions to situations in real time over extensive time. And the thing about reactions that are due to pathology, is that they are rather rigid. So the behavior becomes very predictable. So when you have a hypothesis in your head, and you observe [Trump’s] behavior, it sort of becomes an experiment, the proof becomes stronger and stronger. Of course you can never make a definitive decision without a personal interview and without medical records and all kinds of things. But whether or not he poses a danger, a lot of that can be seen through external observation. What have you seen through external observation? So what are his dangerous traits? Impulsiveness, recklessness, paranoid reaction, a loosening grip on reality, inability to think of consequences or take consequences into consideration, a lack of empathy, belligerency and a constant need to demonstrate power. These are the kinds of things that are highly associated with violence. We don’t need a diagnosis. We are not interested in a diagnosis. That’s a personal matter. There’s been a study on presidents recently, and a lot of them seemed to have indications of mental illness, but they functioned just fine. We’re not really interested in the president’s diagnosis. That’s really a personal affair. But whether he has the capacity to function in his office, that is a concern. How did you get involved in a study of the president’s mental health? I’d been kind of concerned, but didn’t think it was my affair. Until the morning after the election, starting at about 8 a.m. I was flooded with phone calls. I was inundated with emails. I am a violence scholar, an expert on violence. And these people were concerned about violence, civil society groups, lawyers, patient advocacy groups, students, filmmakers, I mean all kinds of people were getting in touch with me. So, I had to make some kind of decision. I realized I had devoted myself to preventing violence, do I turn away? We’re facing the greatest violence that is possible, the greatest danger, because of the person and the situation. It’s really not Mr. Trump’s mental health that I’m interested in. It’s really Mr. Trump in the office of the presidency that poses a mental health risk. Why did people reach out to you about their concerns? I’ve done a lot of work on violence. I’ve provided a lot of testimony to state governments on how to prevent violence and how to reform prisons. So I was in touch with a lot of groups – these groups had gotten in touch with me in the past. So, they knew I was the go-to person for these sort of things. But I never imagined they would be coming to me all at once. What happened is I held a conference [in April] about the ethics of warning about a dangerous situation concerning the president. You may know the Goldwater rule which prohibits diagnosing from afar. And I actually agree with that. Diagnosis is about the person, you need all the relevant information to make a diagnosis about a person. But for ‘dangerousness’ you only need enough information to raise alarms. And you can also do it from afar. In fact, most of the information, the useful information, comes from outside a personal interview. So in terms of dangerousness, we have quite a lot of data from the president. So, in any case, I held this public discussion, got a lot of press, it was at Yale School of Medicine, but only about 20 people came. It featured some of the greatest living legends in psychiatry. When I spoke with them in private, it turned out they were afraid of being targeted, either litigiously by the president, or physically by his followers. And everyone agreed, by the way, when we spoke in private, everyone agreed about his dangerousness. It was whether or not we should speak about it or should warn the public about it that was the question. That conference created a backlash…. It got a lot of press that said, ‘Yale psychiatrist breaking the Goldwater rule and declaring the president crazy.’ That kind of publicity. But what’s most disturbing is that psychiatrists have now come out denouncing the book that I edited saying I broke the Goldwater rule. Actually it’s just one person, the past president of the American Psychiatric Association, which is really ironic because he knows very little of what’s in the book. The APA expanded the Goldwater rule in March of last year to make it a gag rule. Before it was ‘do not diagnose a public figure to the media,’ that’s how they interpreted it. Now it’s ‘do not make any comment at all, whatsoever, about their speech or behavior or anything observable or not observable, you cannot speak about it, even in an emergency.’ That actually contradicts medical ethics, and it goes against their previous interpretations. I actually think it’s rather dangerous that they would change ethical guidelines under political pressure. And you definitely think it was changed due to political pressure? Well, it was changed two months into this administration. And if you look at how they had been interpreting the Goldwater rule… its strictness had been less and less, and they were even considering abolishing it shortly before Trump came along. Dozens of members [of the APA] have resigned over the change in the rule, and I certainly don’t agree with it. So I’m adhering to the ordinary Goldwater rule, not the massively expanded Goldwater rule. I see myself as compensating for what I see is a dangerous complicity and silence on the part of my profession. There’s been a lot of doubt and talk and fear and anxiety on the part of the public regarding the president’s mental stability. To have to rely on late night talk shows and pundits for any type of clarity and not to lend our voice – ethical guidelines clearly say that we are supposed to educate the public and we have an obligation to the public, not just to individual patients.